Casale Paradiso was born in 1984, its passion is very more ancient. The Abruzzo land is its inspiring muse. Abruzzo is a small region between sea and mountains, it contains a synthesis of the perfumes, colours and Italian tastes. Nicola Mammarella is the partner founder and actual Administrator of Society. Behind his experienced and impassioned guide, Casale Paradiso in few years has succeeded in conquering an important place in the European gastronomic panorama. The basic presupposition of the work of Casale Paradiso is that the nature gives us everything that we need. It is not necessary to add nothing. To be able to cook tasty and healthy dishes it is enough to take what the nature offers us trying to ruin it the less possible. With first quality raw materials it is easy to have first quality products. Chemistry is not necessary, it is enough the nature. Campari Lemonsoda was first created in 1932 and is considered the first pre-mixed drink in the world. Gran Spicchio Cheese Mila ca. 300 gr. You can enjoy Mila Gran Spicchio in a multitude of ways. Thanks to the fact that it is easy to grate, this table cheese is perfect either as a classic condiment sprinkled on top of Italian pasta dishes or straight - at its best broken into chunks - as an aromatic antipasto. Veuve Clicquot Champagne DEMI-SEC 12,00 % 0.75 l. 61,00 EUR / 81,33 €/lt. Veuve Clicquot Champagne Brut Yellow Label Tse Tse Edition + GB 12,00 % 0.75 l. 58,65 EUR / 78,20 €/lt. Veuve Clicquot Champagne Brut Yellow Label Mail Express Edition + GB 12,00 % 0.75 l. 59,80 EUR / 79,73 €/lt. Veuve Clicquot Champagne Brut Yellow Label Ice Letter Edition + GB 12,00 % 0.75 l. 62,25 EUR / 83,00 €/lt. Veuve Clicquot Champagne Brut Yellow Label EOY Edition + GB 12,00 % 0.75 l. 58,65 EUR / 78,20 €/lt. Black Salt Hawaii 250 gr. - Salt of the World 9,25 EUR / 3,70 €/100 gr. 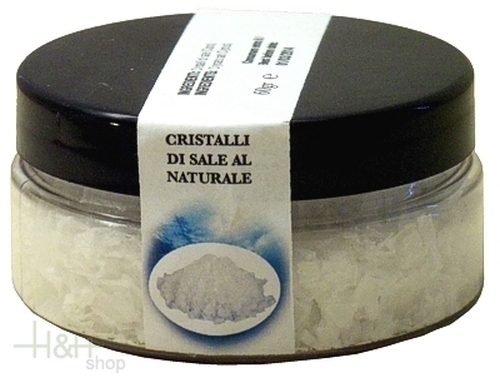 Sea Salt Cervia in Jute Bag 300 gr. - Salina di Cervia 5,60 EUR / 1,87 €/100 gr. Rose Salt Himalaya 1 kg. fine - Salt the World 5,25 EUR / 5,25 €/kg. Rose Salt Himalaya 1 kg. coarse - Salt the World 5,25 EUR / 5,25 €/kg. Smoked Salt 250 gr. - Salt the World 8,90 EUR / 3,56 €/100 gr. Blue Salt Persia 250 gr. - Salt the World 8,90 EUR / 3,56 €/100 gr. Rose Salt Himalaya 500 gr. - Salt the World 7,15 EUR / 14,30 €/kg. Sea Salt Sal fiore di Romagna Sale dei Papi 300 gr. - Salina di Cervia 5,60 EUR / 1,87 €/100 gr.